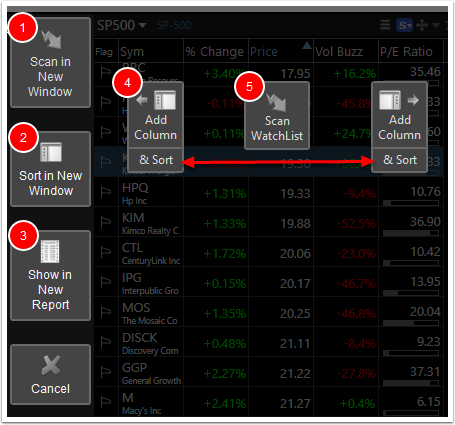 When creating conditions from charted indicators saving to the library allows for reuse of the condition for EasyScans, Sorting, Reports, etc. 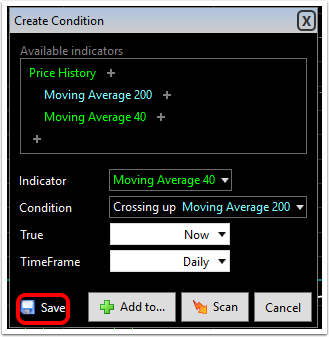 Here are the steps to saving any condition created on a chart. Note: Saving should be done as the condition is being created. 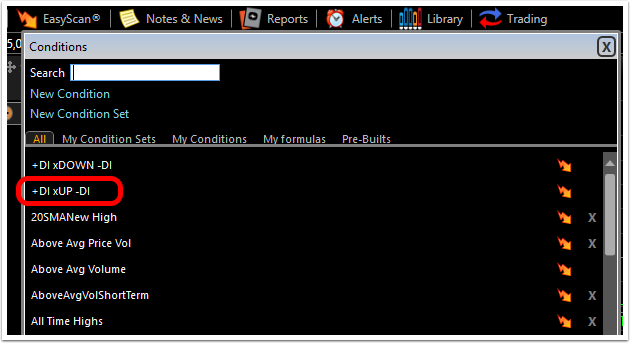 When the condition set up is complete, click the Save button. 2. 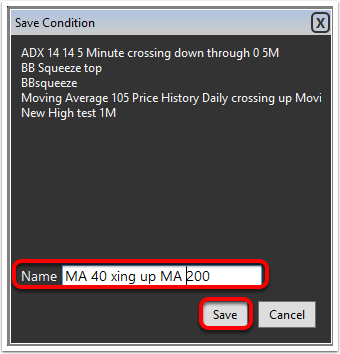 Enter a name and click Save. 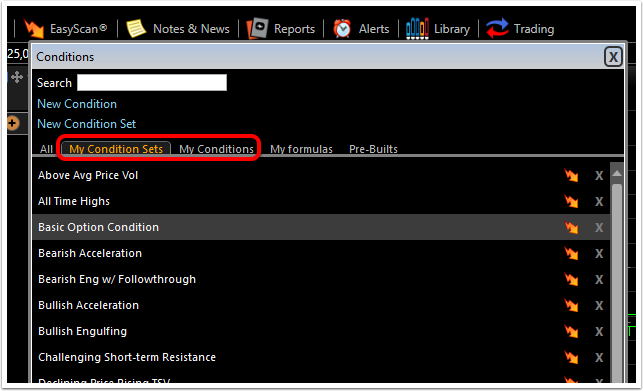 To add the saved condition to any chart, as a column, in a Report, etc., click the EasyScan menu button and choose My Condition Sets or My Conditions. 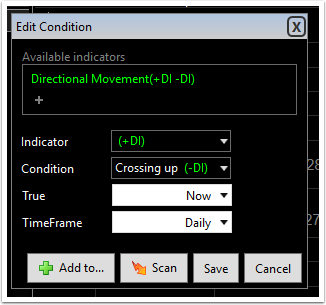 Choose the desired action from the editor. 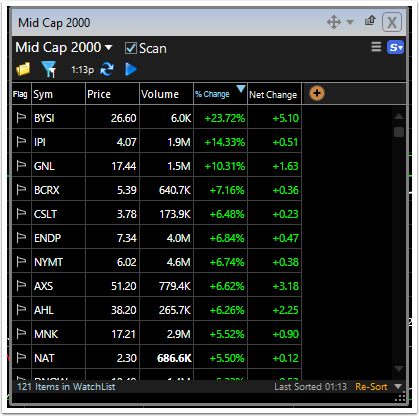 "Scan" opens a new window to the default WatchList and scans the WatchList for stocks that meet the condition selected.